With a few exceptions, most of the posts published so far on this blog have been stories that conclude with tidy happy endings. This may indicate that life at Moose River Farm exists under nothing but sunny skies. If there is one lesson that I have learned over and over again while living with animals, it is that life is the very best when there is a balance of highs and lows. We tend to fear the inevitable sadness that living with a pet will bring when age, injury or illness prevent the animal from living a quality life. Although I have lost count of the number of animals that I have bid farewell to, the event never gets easier. Through experience I have become wise about the finality of death and reaffirm my philosophy of acceptance every time it arrives at Moose River Farm. Each loss reminds me how precious life is. 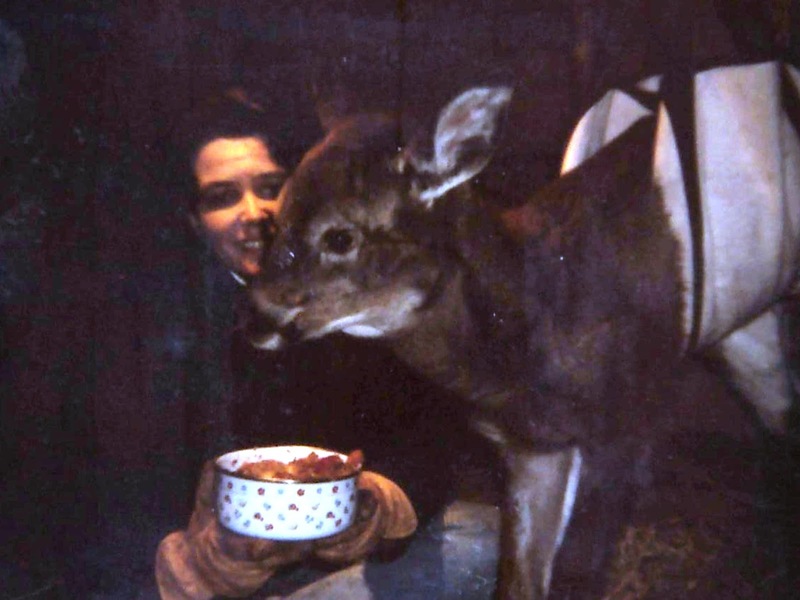 The most I can ask for is that the animal has lived a long happy life full of positive human interactions. Striving for this every day enables me to accept the end when the time comes. Then, I can manage my grief knowing that I gave this wonderful being the very best of me. In today’s excerpt from Finding My Way to Moose River Farm, our sixteen year old goat, Hannah, makes a point of saying goodbye just before she takes her last breath. After her, (brief), disappearance, Hannah began to age rapidly. She spent more and more time standing quietly in the dark cool wash stall or feed room where she could catch a refreshing breeze through the open doors. Sometimes she bleated softly to herself, perhaps due to pain. Through it all she continued to eat and function normally. In late June, Rod and I traveled to Alaska for a cruise with my family. The animals faired well with Cindy as their caregiver in our absence. 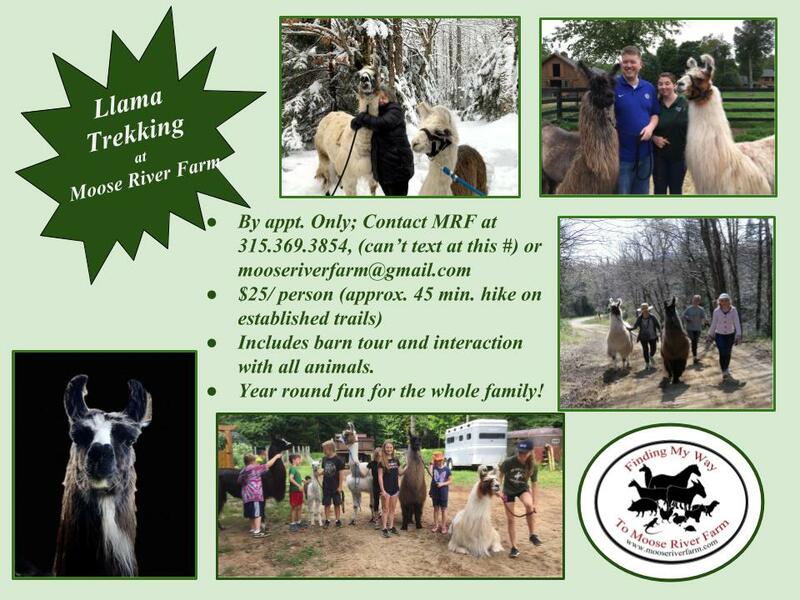 After a week away we were eager to return to Moose River Farm. The following account occurred on our first morning back in the barn. When the phone rang I answered and became engaged with the caller. Rod was fiddling with a stall door in need of an adjustment at the far end of the aisle and our boarder, Irene had just arrived in the barn to see, (her horse), Ben. While continuing my conversation on the phone Hannah approached me and leaned her whole body against my leg. Instinctively, I reached down to cup her head in my hand and scratch her chin for just a minute. She bleated softly in reply as I stroked her face. As my phone conversation continued, I paid no attention when Hannah gently pulled herself away from my grasp and walked into the feed room. Within one minute the call ended and I went into the tack room to hang up the phone. “What’s wrong with Hannah? Anne, I can’t get her up. She’s not responding,” Irene called urgently as she desperately tried to pull Hannah to her feet. I rushed to help but it was perfectly clear that Hannah was gasping her last breath before her whole body went limp. Irene then gently laid her on the concrete floor. “There was no warning! No sign! Just a minute ago she was leaning on me,” I whimpered. At Irene’s urging I dropped to the ground and put my hands on the dead goat. I bent down to kiss her and whisper that I loved her, but it was too late. She was dead. Rod, drawn by the commotion in the feed room, approached the scene. He had just witnessed Hannah pressing against me and at the time had signaled how sad she was with his expression. We stared in disbelief at our beloved dead goat. Looking back, I believe on the day she had disappeared, Hannah passed out in the woods and was too weak to rise when we called for her. The vet assumed her heart had given out due to her advanced age which was four years longer than the average for an old goat. And as for a sign of her pending death, I now believe that she waited for me to return home from vacation and that when she pressed against me and bleated softly in the moments before she died, she was in her own way, saying goodbye. 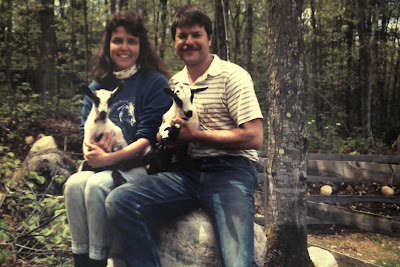 Our baby goats, Rachel and Hannah, (in Rod's arms) lived full long lives. What more could we ask for? 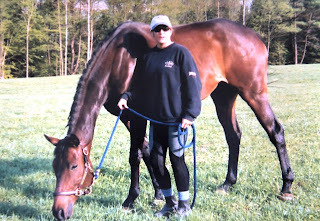 Ten years ago I purchased a 2 year old Thoroughbred gelding from a Canadian horse farm. 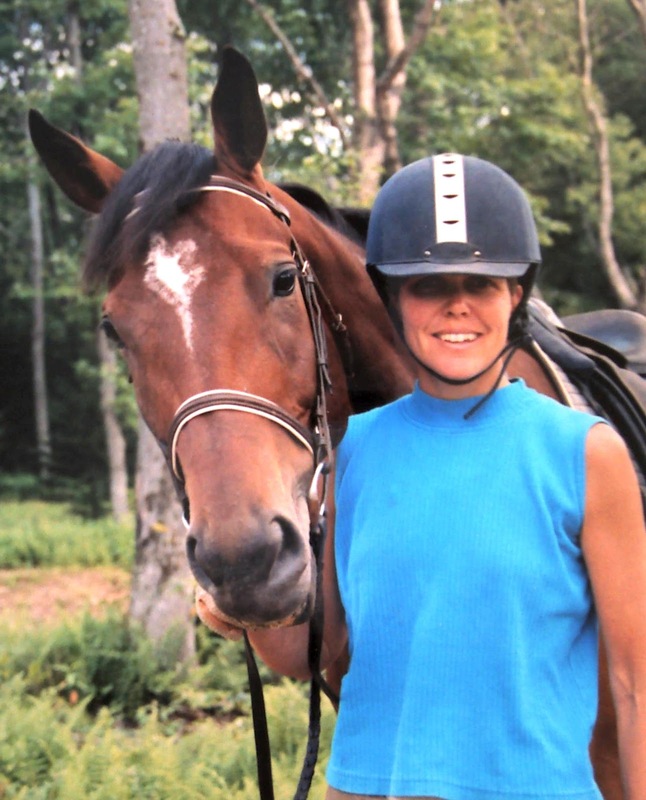 The six hour round trip turned into a ten hour nightmare when we arrived at the U.S. Customs office, (in a blinding snowstorm), with paperwork that permitted the gelding to leave Canada but not enter the U.S. Forced back into Canada, we traveled west and finally gained entry at Gouverneur, NY. With paperwork that granted Easau permission to remain in the U.S. temporarily, we finally made it home late in the evening. In today's excerpt from Finding My Way to Moose River Farm, Easau must return to Canada where a final inspection dots the i's and crosses the t's that enable him to stay in the U.S. for good! Despite my fatigue, I did not sleep well that night. Easau was only allowed to be here for thirty days. I had visions of the Federal authorities coming to confiscate him or of having to return him to Canada and go through the paperwork process all over again to have him imported. I need not have worried because within twenty-four hours a new plan was in place. 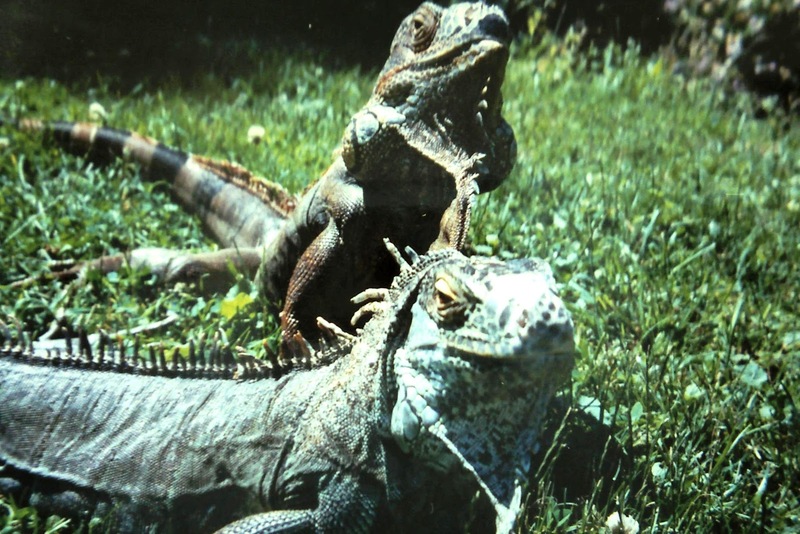 After several phone calls on Monday, many of which were met with shoulder shrugs from government employees who did not know what the correct importation procedure was, I called the Federal veterinarian at the Alexandria Bay importation station. He explained the importation process to me assuring me that after scheduling an appointment with him, Easau would become a permanent U.S. citizen. The following Monday I was on my way back to Gouverneur with Easau to cross the border into Canada. I then traveled west for about 50 miles to re-enter the U.S. and meet with the Federal veterinarian at the Alexandria Bay importation station. All went according to plan although, I could not help feeling a bit of anxiety when it came time to approach the Customs buildings on either side of the border. The original incident had caught me off guard and I was sure another glitch would surface despite assurances from an authority that this was all going to work out favorably. The importation station was another world! Many prefabricated buildings sat on the perimeter of a large parking lot that accommodated tractor trailers full of cattle and other livestock. There were trucks full of inanimate objects as well. All were waiting for various inspectors to provide them with the appropriate paperwork to admit them into the U.S. Easau waited patiently as an entire tractor trailer load of cattle was escorted into a special barn where the vet examined each one individually and provided it with appropriate papers. This time another friend accompanied me. She and I chatted casually while we waited. When our turn finally came it consisted of three steps. First, the vet and I filled out various forms in his office that he keyboarded into his computer. Next, I wrote a check for twenty-seven dollars and fifty cents. Finally, the vet accompanied me to the trailer where Easau, munching hay contentedly, stood quietly for the examination. This exam consisted of the vet eyeing the horse briefly and then glancing at the Canadian paperwork. That was it. We were on our way. The ride home was uneventful and once again, Easau arrived home after a long day spent standing on the trailer. This time however, he was a U.S. citizen. That night I slept well through vivid dreams of Easau and me beginning our training together. 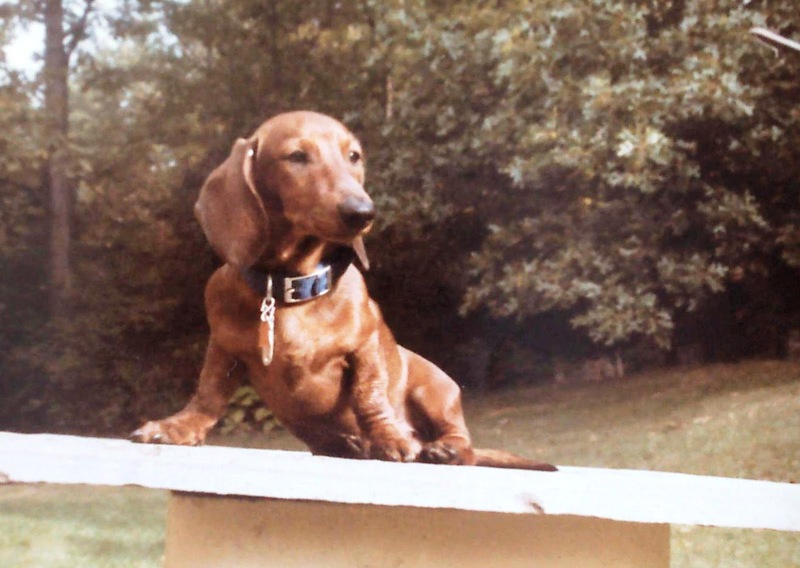 Eastern Salute, (Easau), safe and legal in the U.S. after receiving his 'green card'. The Kentucky Derby is less than three weeks away which means that Louisville is gearing up for the annual 'greatest two minutes in sports'. I am excited for Michael Matz who trains Union Rags, an early favorite headed for the big race. Of course I can't help but remember 2006, when Michael arrived at Churchill Downs with the favorite to win; a huge bay colt named Barbaro. If you follow horse racing, you will remember that Barbaro won the Derby but broke down just two weeks later in the Preakness. With true Thoroughbred heart, Barbaro appeared to be winning in the recovery of his injury. Unfortunately, he was euthanized eight months later when his house of cards was toppled by laminitis. My sixth graders at the time, (today's current senior class), were captivated by everything about Barbaro from before his big Derby win and beyond the Preakness tragedy. 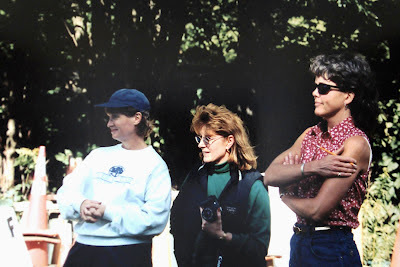 As a result of reaching out to Barbaro and his 'connections' after the injury, the students were included in an HBO Documentary about Barbaro's life. This video segment from the film, shows how the power of children's words and pictures provide great comfort for Barbaro's owners, giving them a reason to smile. My husband Rod loves birds. He tends to the wild birds in our yard with the same devotion that I take care of the horses. His effort is rewarded with an abundance of Juncos, Chickadees, and Bluebirds to name just a few. When Rod turned forty we celebrated by acquiring a hybrid Cockatoo named Casey. 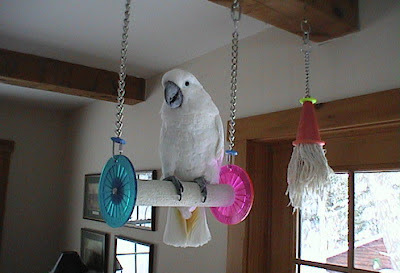 What this large white parrot taught us was a whole lot more than we could teach her. Aside from conquering the sofa with military efficiency, she screamed and chatted the day away from her kingdom where she ruled in our living room. 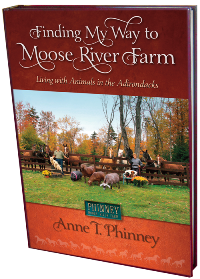 In today's excerpt from Finding My Way to Moose River Farm, Casey takes control of the air waves too. Casey used her spine tingling scream to attract our attention at the most inconvenient times. At dawn’s earliest light her day officially began. During the summer that heart stopping scream startled us out of our slumber long before we needed to be awake. The only way to console her was to get up and join her in the living room where she immediately quieted down. After a long day alone in the house she screamed for attention from the moment we arrived home. One day Rod ignored her tantrum while tending to urgent computer business upstairs in our office. Tired of screaming to no avail, Casey hopped off of her couch and out of her territory. Sensing that Rod was on the second floor, she climbed the stairs with great stealth, and then continued her clandestine mission down the hall. Next, she stood soldier still at the doorway, waiting until her presence surprised him at his desk. Once he discovered her there, (with a bit of a startle), she bobbed her body to and fro with the satisfaction of a football player who had just scored a touchdown. Of course he immediately picked her up to cuddle her, thus rewarding her for her effort! Another time, Casey was suspiciously quiet downstairs while Rod was watching his daily stock reports on a small TV in the office. The TV was controlled by whatever channel was tuned in on the downstairs TV. Suddenly, the small TV began changing channels rapidly on its own like a scene from a science fiction movie. Rod ran down to investigate the situation and discovered that Casey had found the remote. She was perched on her swing, holding it dexterously with one foot while her beak was busy gnawing off the little rubber buttons that changed the channel! "Bad, Bad, Bird, Bird Girl." Casey called herself a "Bird Bird Bird Bird Girl"! Although living with horses truly is a privilege, shopping for them can be a bit stressful. Patience is required while waiting for return phone calls, emails and videos to arrive. However, once the choice is made, the rest of the experience is magical. Seven years ago I came down with a case of Friesian Fever that could only be cured by purchasing one. Unfortunately, the price of a full grown and 'broken' Friesian was way out of my price range. Therefore, I could only consider buying a Friesian weanling. In today's excerpt from Finding My Way to Moose River Farm I have just arrived at the famous Iron Spring Farm in Coatesville, PA, to meet Lowtchee for the first time. I turned around mid-sentence and there she was having been led out by the farm’s weanling manager. Only eight months old, the filly was not very big. Her tail was nothing but a flat mat of short spikes. I approached her head and gently put my hands out to stroke her neck. With bulging eyes and flaring nostrils the filly strained at the tiny leather halter around her head assessing the stranger who was touching her. I walked the circumference of her body and marveled at the way she was put together, resembling a Friesian but with physical secrets to be revealed over time. The youngest horse I had purchased to date was a two year old. This age was new to me; like having to pick a caterpillar before it turned into a butterfly. I asked if I could lead her out to the paddock where my captivated entourage and I could watch her move around. As we walked farther away from the barn she became a bit agitated, clearly indicating that she was not happy to leave her herd mates who were cozy back in the barn. With a little coaxing the filly allowed me to guide her out to the paddock. It was unusually balmy for January, but cloudy with drizzle. Several human bodies formed a fence to prevent her from leaving a small area of the paddock. We all clucked at the little filly as she dutifully trotted about demonstrating the same floating gait I recognized from the video. As I watched her graceful display, my mind swept rapidly back over the years creating a collage of my horsy life. It began with that hopeless ten year ache in my heart to have a horse of my very own. 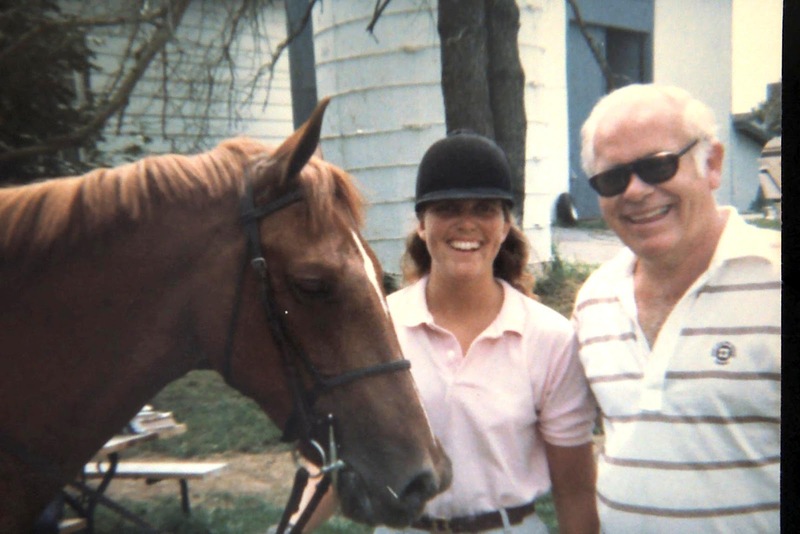 Finally, at sixteen, a horse of my own became reality followed by college degrees in Equine Studies and Animal Science, a job grooming horses for one of the most celebrated professional equestrians to date, and a life up to the present with horses ever at the center. And now I was shopping for a Friesian to raise and train for my very own. Not just any Friesian, but this little girl Friesian, with her lovely temperament and easy movement. All too soon, it was time to walk the filly back to the barn where I was able to witness her calm demeanor in the company of her companions. From the safety of her stall she completely relaxed and showed me how sweet she really was. With great interest she poked her muzzle into my hair, hands and all over my jacket. Fifteen years and eight geldings later, I was going to have a girl in my barn again. I watched this video 'mega' times in anticipation of my filly's arrival. Since Sunday evening, a stretch of winter weather, complete with snow and wind has hovered over the Adirondacks. Perhaps its motive is to humble us after such a mild winter. Today, I am going to take a break from assembling words into visual expression. Instead, I invite you to accompany me on one of my favorite activities; our daily walk. In this video my friends, Missy and Mary Anne join the goats, dogs, Fiona the pig, and me, (behind the camera), for a hike through Moose River Farm at the height of summer. Perhaps this clip will encourage hope for the beautiful weather days to come. May they not be too far away! 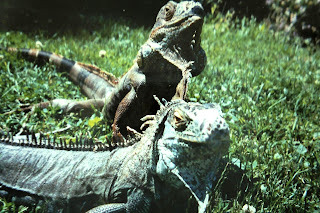 As we celebrate the signs of new life all around us on this Easter Sunday I want to take the opportunity to thank everybody who has visited my blog over the last two weeks. I am thrilled by the number of 'pageviews', (over 1,000), that have accumulated from around the world including Australia, Russia and Germany! Tomorrow I will return to my classroom after a two week rest full of animal interactions, horseback riding and of course writing. My plan is to produce at least two new posts a week that I hope you will continue to follow. In the meantime, please check out the articles and other blogs that are listed at the right side of this page. Thanks again everybody! 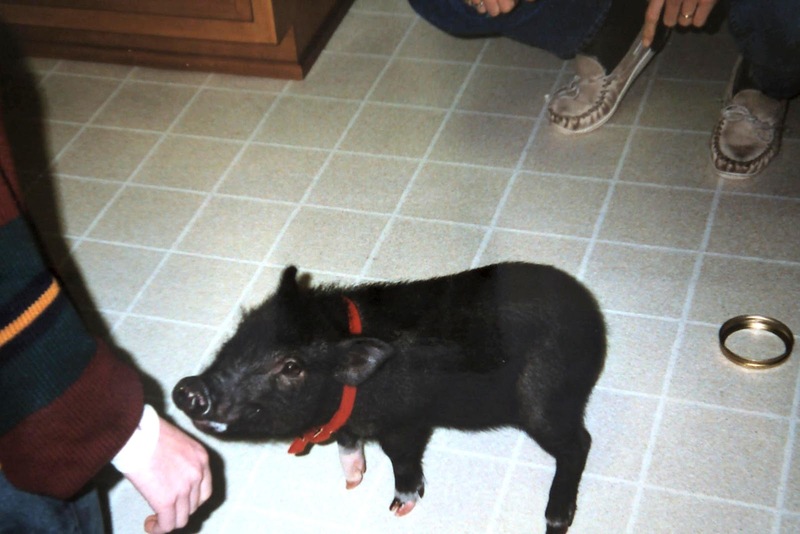 In 1995 Rod and I were offered the option of adopting a baby pot belly piglet. This luckless little fellow needed to find a new home after his first family discovered that living with a pig in the house is much more challenging than living with a dog. Feeling confident that we could give him a good life we accepted the offer and learned first hand that a pig in the house requires patience, flexibility and... a sense of humor. Today's excerpt from Finding My Way to Moose River Farm is about our first 'tiny' pig, Noah. Enjoy! The piglet was still a bit groggy from his, (castration), surgery when I saw him for the first time. 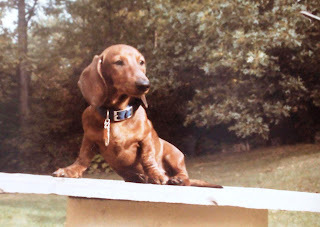 He was tiny; only about fourteen inches long from end to end with big liquid brown eyes. Meg, (Dr. Meg Brooker), estimated his age to be around ten weeks. The little snout above his mouth pumped up and down trying to recognize me by scent. Reaching into the cage to stroke his little pointy ears, I fell in love with him immediately. Meg placed him in my arms and once again, another extraordinary chapter of my life with animals began. I brought him home in a dog crate and left him in the powder room to take in his new surroundings quietly without having to deal with our dogs. Eventually, I let him out to investigate the kitchen and area around the woodstove. He seemed a bit overwhelmed as his little hooves tapped about on the parquet floor. At one point I went into the powder room to blow my nose and became suddenly aware of the little piglet’s reaction. He must have thought that another pig was nearby because he grunted and ‘neorted’ with great enthusiasm in reply. I loved holding him in my arms and resting my cheek in his bristles. He was not cuddly soft for those bristles poked through my sweater and into my skin. He truly loved the interaction and spent the evening in my arms as we watched television. His shiny black skin was naturally clean with no offensive odor. Rod named him Noah, hoping that if the ancient Noah was the last one on the Ark before the doors were closed, this little piglet might be the last animal on our ‘Ark’. In addition to all of the classroom pets, we now had three horses, three dogs, five goats and a piglet. The Ark was definitely full! 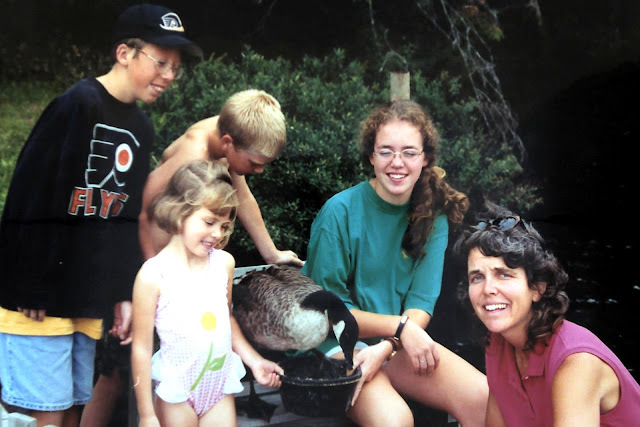 Just before Christmas in 1992, some residents on Fourth Lake watched helplessly as the freezing water entrapped a large domesticated Pekin duck in its grip. 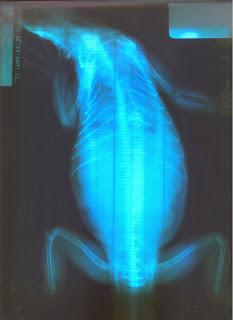 For seven days the duck flopped about in an effort to free himself. Finally, the ice was safe enough for two men to maneuver a hovercraft out to rescue the stranded animal. 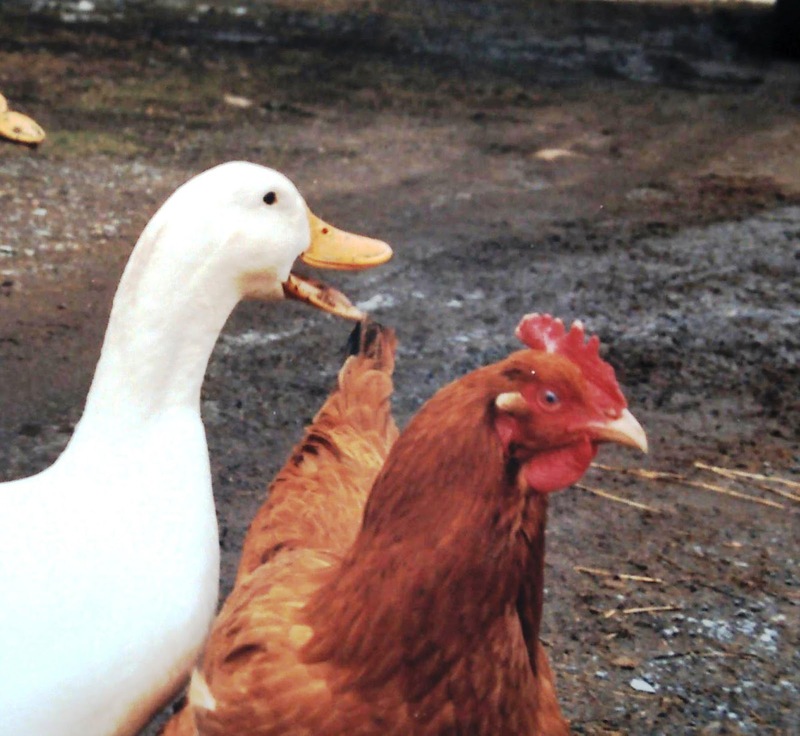 The duck was brought to me for rehabilitation and eventually became a beloved resident of our farm. His endearing good nature won over the heart of a friendly hen who lived with us as well. The following excerpt from Finding My Way to Moose River Farm describes the beginning of this unique bond. Christopher spent his first several days with us in a horse trailer. This provided him time alone to recuperate and catch up on some much needed calories before being introduced to the residents of the barn. On Christmas Eve we took him to the barn to get acquainted. His first reaction was that of a shy child, new on the playground. The horses and goats paid little attention to him as he cowered in the darkest corner. Then he saw Louise. Louise was a Rhode Island Red chicken who had hatched from an egg on our kitchen counter the year before. As a result of her imprinting on us, Louise preferred human company to that of the flock. Christopher’s shyness dissolved into curiosity as he abandoned the safety of his corner to inspect her. She was unimpressed, going about her business, scratching in the hay for tidbits. Honking softly he followed her around the barn and out into the driveway where she continued to scratch and peck in the snow. Later, as the day faded to twilight, we found Christopher and Louise snuggled together in her thick nest of hay at the back of the barn. This was just the beginning of a relationship that lasted for years to come. Through every season of the year, Christopher and Louise were together. The only time they parted was when Christopher snuck down to the lake to behave like a duck, dunking, oiling and preening his magnificent white plumage in the water. He stayed long enough to tend to his grooming needs then, waddled up the lawn, honking urgently to find the hen. Once he was back in her company the honking quieted to his signature low rumbling, indicating all was well in his world. 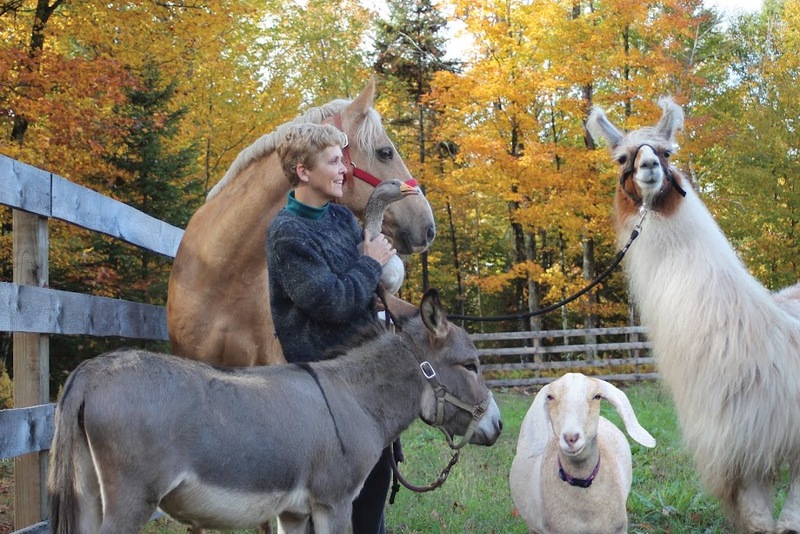 During the deep freeze of the winter months, Christopher and Louise remained close to the barn, leaving only briefly to investigate on those rare days when sunshine visits the Adirondacks. During the spring thaw, as water rushed to the lake, Christopher could be found celebrating by splashing, gleefully, in the runoff crevices of our driveway. Louise, always close by, scratched in the exposed mud for earthworms. This scene added to the euphoria; good weather was on its way. In the summer the pair was out of the barn at first light. They spent the long hot days browsing and napping all around our property. The twosome entertained many friends and family members who visited us in the summer. In the late evening of those long summer days, Christopher and Louise, full from a day of gorging themselves on the lawn, could always be found snuggled in their nest, safe and sound for the night. Autumn was a time for them to alter their habits in preparation for winter. They spent more time in the barn, not wishing to venture outside until the sun had warmed things up a bit. They ate voraciously as if they might never see food again. On Indian summer days the duck and the chicken returned to their summer routine with Christopher stealing chances to bathe in the lake. Last night I returned home from a two day trip to Orlando, Fl where I met up with a very dear friend and one of her daughters visiting from Australia. To say that Cindy and her daughter, Haley have had a challenging year is an understatement. In May of last year an unthinkable tragedy claimed the lives of both, Cindy's husband and 18 year old son. The enormity of this loss is impossible to articulate let alone comprehend. Although, I have held her in my thoughts constantly, the trip was the first time that I had seen Cindy since the car accident that changed her life forever. Among the backdrop of America's happiest city, we shared our tears, laughter and hugs in an attempt to purge a fraction of the pain that afflicts Cindy on a daily basis. Picking up the pieces of her young daughters' lives while maintaining her own sanity has pushed Cindy to the edge of her coping abilities. Yet, she is able to identify the one thing that soothes her battered heart and brings her peace after emotional release; her horses. In Australia Cindy owns two horses, a pregnant Thoroughbred mare named Milly and a young exuberant Warmblood gelding named Aniken. When life becomes unbearable she can be found lying in the field where Milly is turned out to graze. In Milly's presence Cindy feels soothing hope. In the mare's quiet realm Cindy is reminded to live in the moment. The scenario pumps fresh energy into Cindy, enabling her to get through one more day of decision making and details left over in the aftermath of loss. Aniken's boyish behavior and training requirements provide Cindy with a healthy distraction. Schooling him promotes a positive long term goal; a certainty in her future. Each successful training session with Aniken is converted into healing for Cindy as she begins to gain control of aspects that bring joy. Many of our discussions during meals, sitting poolside, or waiting for Killer Whales to take our breath away, were about horses. Each sentence in which Cindy shared with me about hers was a small happy escape from emotional torment. Our conversations took us into training methods, philosophies, natural history, competition, humorous anecdotes and many memories from our shared horsy times together in the past. All of this added up to longer stretches of time in which Cindy could feel emotions beyond her sadness. From horses Cindy will acquire the strength to forge ahead and pave a smooth path for Haley who is growing into her own future. We may be powerless to control the events of our lives that bring unwelcome change, but thanks to the healing ability of horses Cindy has a saving grace. Cindy and her first 'healer', Bally. My husband's family has owned a camp called Sunny Cliff on Raquette Lake in the Adirondacks since 1904. It is a special place revered by Rod, his four older sisters and all of their young adult children. During retirement, Rod's parents, Big Rod and Rachel spent the four good weather months of the year at Sunny Cliff and eight months in Florida dreaming of their Adirondack homestead. When I met my Rod, he was raising a ten week old husky mix puppy named Mishka at Sunny Cliff. This adorable ball of fluff had been given to him by his sister, Karen, who owned the pup's mother. Since Rod was busy working full time, Mishka's care and well being were provided by Rachel. As a result Mishka and Rachel developed a very special bond. Unfortunately, huskies are notorious for their desire to run long distances away from home. 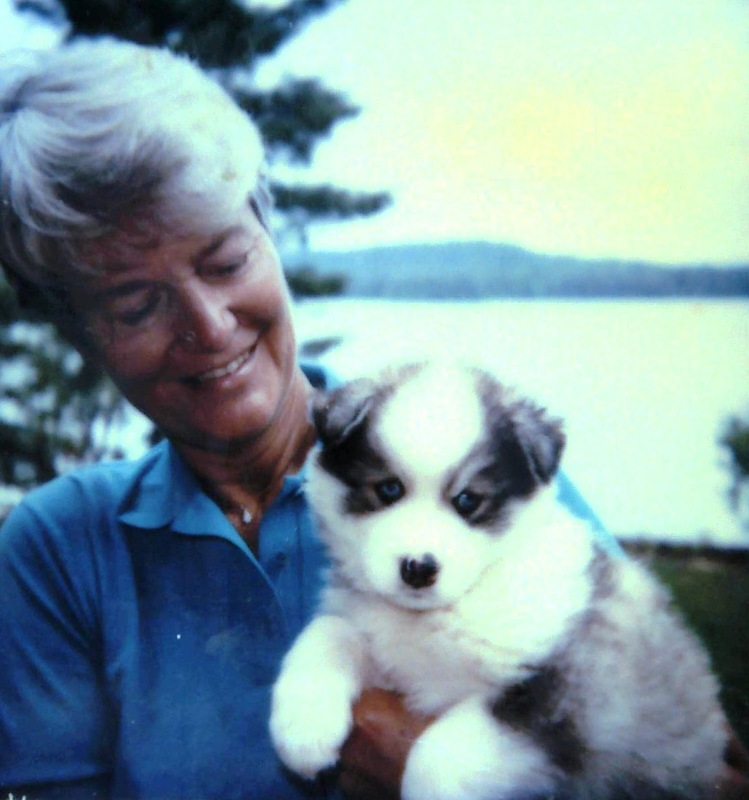 For her safety, we had to keep Mishka tethered on a cable at our home in Inlet. In today's excerpt from Finding My Way to Moose River Farm our energetic husky gets the freedom she so deserves. All too soon the leaves began to change color and a chill crept into the air, a signal that Big Rod and Rachel would be leaving soon. Mishka never fretted over their packed boxes or the trips they made across the lake to pack the car. However, once they were gone her freedom ended and she returned to her tethered run in Inlet. With a weary sigh she seemed to accept the circumstances. Rod frequently took her back to Sunny Cliff with him on the days he spent moving docks and closing up for the coming winter. Sensing Rachel’s absence, Mishka remained on Rod’s party barge throughout the day. Even after Rod called her to join him up at the house, she returned to the boat preferring to wait for him there instead. Mishka resigned herself to life in Inlet with grace and dignity. But once the sun began to heat up the Adirondacks in the following spring, she became restless. By May she stood alert in the yard and concentrated on every car that came down the driveway. When the car did not turn out to be who she was hoping for she relaxed her vigil and ignored the guest. Not long after Memorial Day, the car she had been waiting for finally appeared. Her entire body twisted and wiggled with excitement once she identified the driver and passenger who emerged from the car. Then she released a howl and cry with little short barks that she never uttered except on this occasion. As Big Rod and Rachel fussed over her in return, she pranced in front of the car door. When it was opened she leapt right in and sat down quietly in the space that had been reserved just for her. Then Rod and I would stick our heads in to say goodbye. With an air of impatience she turned her head away from us, refusing to make eye contact for fear we might make her get out of the car and stay behind. With a hug and a smile we sent her off for her long awaited four months at camp with Grandma and Grandpa. After all the car doors were secured, the station wagon made its way up the driveway, back to Raquette Lake and Sunny Cliff for one more summer of freedom. This routine continued unaltered for thirteen wonderful years. A little boy in my class named David has become quite a fan of 60's music thanks to his subscription to Sirius Radio. When Davey Jones came to perform at the Turningstone Casino, David and his mother, (a colleague of mine), invited me to go to the concert with them. Jones had aged well and despite a number of off-color jokes, was quite entertaining as he took us all back to a time when he was a teen idol. I must say my ears perked up and I felt more of a connection to him when he began to talk about his horses! 11 days after the concert, Davey Jones died of a sudden heart attack, (while feeding his horses). The news was quite shocking to the three of us who had just seen him looking so youthful on stage. I was sent a number of condolences by friends and colleagues who knew that I had attended the concert so recently. Although these were thoughtful gestures, I began to feel a bit guilty about receiving them. Davey Jones was not my idol growing up. Yes, my siblings and I loved the Monkees' TV show, but I was not hopelessly enamored with Jones. This got me thinking about my idol to whom I owe a debt of gratitude for serenading me through some of the roughest spots of my childhood. 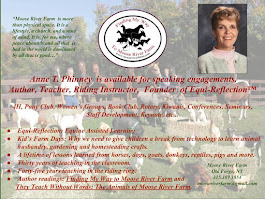 I began to feel that I owed him a place in Finding My Way to Moose River Farm and immediately began editing the paragraphs where he belonged. My four week camp experience flew by quickly and all too soon it was time to say an emotional good bye to Never, (my assigned camp horse), as well as the other horses. Returning home with no riding prospects in sight was depressing. I had had a taste of caring for a horse and I wanted more. To make matters worse, I also had to face ninth grade with all of the challenges of an adolescent teenager who struggled to fit in with her peers. Instead of expressing thanks for this wonderful camp experience I retreated to my room and wept incessantly for the loss of horses yet again. Alone in my room I pounded my fists and feet on the bed in frustration for my lack of ability to control the circumstances. There to console me was the soothing voice of Barry Gibb, oldest brother of the group, the Bee Gees. Their music from the early and mid seventies, (years before the falsetto voices of Saturday Night Fever), comforted my tortured soul through some of the most difficult periods of my adolescence. To me, Barry was more than feathery good looks and a flashlight smile. From the small snippets I saw of him on television, I could tell Barry was a gentle giant who spoke well and I hoped that he loved animals too. He was a consummate musician who wrote his own lyrics, composed the melodies and accompanied the iconic tunes with his own guitar playing. The unique blend of voices that he and his brothers recorded can only be attributed to their shared DNA. After my tears were spent I lay on my bed in a trance. Barry’s lyrics beckoned to me from the stereo I had recently inherited from Sue, (my sister), now busy packing in the next room for her freshman year at college. “So darliiin’…..yooooou run to meeee”. Tis the morning of my life. Wouldn't have made it through my youth without you, Barry!